The Mahagun group presents another iconic township, “Mahagun Mascot” and adds another success in its array of providing residential complexes. It now brings more improved form of living to your doorsteps and provides synonym to luxury lifestyle. Mahagun India has always tried extensive solutions for eminent and quality living and is one of the major brands trusted in the real estate sector. It now presents 2 BHK residential apartments in Indirapuram, just 19 km away from the delhi border and is thus one of the most sought after property of the region with latest infrastructure and designs. Nestled among the lush green stretches of the Crossing Republic and sprawled over an area of more than 360 acres of land, “Mascot”, provides a world full of luxuries and comfort. 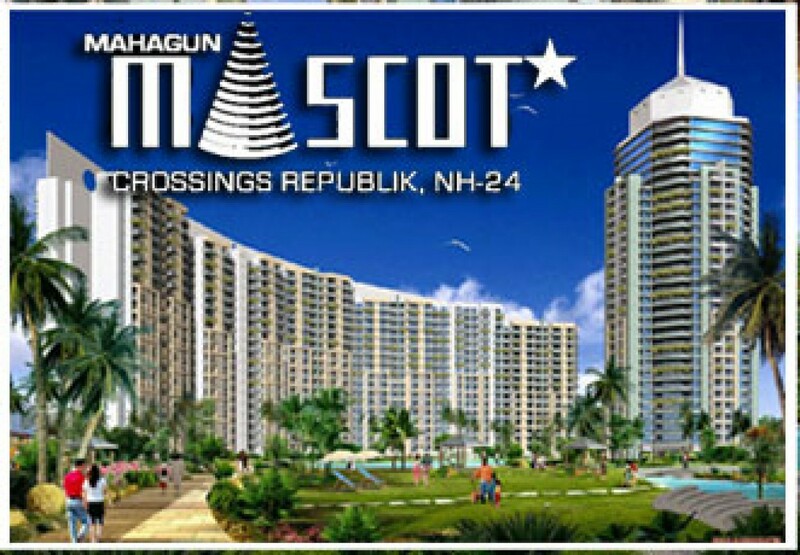 Mahagun Mascot offers a unique opportunity to enjoy the peace and serenity of the surroundings, accompanied with the pleasure of living in a high class environment that too at a distance only of just 19 kms from the Delhi border. The Mahagun group is also coming up with several projects in regions of Vaishali, Indirapuram, Kaushambi and Vasundhara. With a well-planned infrastructure and road network at an affordable price band, NH-24 draws a lot of attention of the home buyers. NH-24 is the most flourishing residential area in the Ghaziabad region because of its proximity to Delhi. The area has excellent connectivity and best in town infrastructural developments. At Crossing Republic MASCOT you get the best of recreational facilities in terms of swimming pool, gymnasium, kids play area and also provides clubbing. The other additions to the list are security, power backup and Vastu Compliant, open spaces, contemporary interiors and much more, besides the unmatched joys of floating garden, yoga deck, mini golf course, water bodies, amphitheatre anddrop off plaza. Round the clock electronic and manual security and controlled access with provision of Video Door-Phones make for a secured environment. The pleasure of living at Mahagun Mascot extends to the next level through its club- Mahagun Myriad. The apartments offer the latest world class technologies, amenities and services. So do not miss this golden chance to invest your money with a reliable group that will surely give you more than satisfaction and delight.